A coming of age story of a young boy on his journey of discovery about his life's direction. You have to follow your own path and not just follow that of society. The story is a fable with a pretty direct message. The message is that the world has a one right way path laid out for people, but that not all people thrive on this path and some will find great rewards by intentionally leaving that routine path to follow their own intuition, and watching for other, more subtle sign points along the way. By deliberately ignoring some direct orders, the little boy in the story makes some unique discoveries that he would not have experienced if he just stayed on the normal path. Also of benefit is changing course along the way, being flexible and open to change as the process of the journey unfolds. This book is not about pre-planning, setting routines and doing what others want you to do. It is about going with the flow, putting aside analysis and worry and just continuing forward along a not-always-predetermined path. Can we design something that creates a sweet breeze? What is a sweet breeze? Design an object that can float and carry ____ pennies? How would you test your design?, Write a short paragraph of why it works. Design a bridge to help him cross the river safely. Are there other ways to cross the river safely? Design a pair of shoes to help him move safely in the mud. What is mud and how can you make it? Design a habituate for a frog. What makes it different than for a cat or rabbit? Can we design a path between two points that crosses a river and a hill. What is good about a path? What is bad about a path? Create a map using the stars in the sky to get from one point to another. How did ancient sailors like Christopher Columbus navigate using the stars? 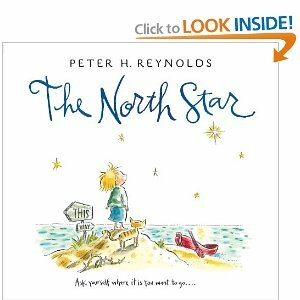 Peter Reynolds is a children's book author and illustrator who also owns a bookshop, and also is an "educational media developer and publisher". He formerly worked with special needs children at camp and worked in the classroom with children as well.